The COPE report on the bond scam in the Central Bank from February 2015 to May 2016 has come up with, among others things, a very strong recommendation relating to EPF. It has recommended in both the main report and the dissenting report with footnotes that the activities of EPF from around 2010 until May 2016 should be fully investigated to ascertain irregularities in investments, improprieties, malpractices and losses to members. The focus of the main report has been on an observation by the Auditor General that EPF, overlooking its duty to buy government bonds from the primary market at a price beneficial to its members, has bought such bonds on a number of occasions from the secondary market at higher prices. The implication has been the failure to earn the maximum income for members since the primary market price of those securities had been pretty much lower than the price at which it had bought them in the secondary market. In fact, the leaked onsite examination report of the Central Bank on the primary dealer Perpetual Treasuries had documented one such instance that had taken place in January 2016. The reference here is to a 25 year Treasury bond maturing on 1 January 2041. The Central Bank web says that this bond carries a fixed or coupon interest rate of 12% p a. According to the table given in the onsite examination report, PTL has bought this bond at an average price of Rs. 98 and sold to EPF within 14 days at an average price of Rs. 111. But subsequently, according to the data published by the Central Bank, the selling price of this bond in the secondary market had fallen continuously. Within a week, it had fallen to Rs. 108, within a month to Rs. 101 and within two months, to the level at which PTL had bought it at the primary auction. Since then, its market price has remained at that level and but by end October, the price had fallen to Rs. 97. Obviously, PTL has made a massive capital gain out of this transaction. However, with the declining market prices, EPF continues to make capital losses and as at end October, 2016, its capital loss has been more than the capital gain of PTL since the bond’s market price is now slightly below the primary auction price. If the same price will prevail at the end of the year, marking the EPF portfolio to market price as required by accounting standards would result in a substantial capital loss which the Monetary Board would not be able to explain. This is a clear case of ‘pumping and dumping’ – a situation where the price of a bond is increased to a high level within a short period through market manipulations and then it is sold to a gullible investor. Thereafter, the prices start falling to the original level or sometimes even below that level causing the subsequent investor to suffer losses. Hence, the investment rationale of the EPF’s front office in this particular transaction needs to be fully investigated. Footnotes 26 and 29 in the COPE report, approved only by 9 dissenting members of UNP, have reopened the need for inquiring into EPF’s investment strategy as well as practices in the past. Footnote 26 refers to an observation of the Auditor General in his report relating to the first bond scam of February 2015 as reproduced in the main COPE report. This suspicion of the dissenting group has been confirmed in the leaked onsite examination report, as mentioned above, with respect to EPF’s investments in 2016. The dissenting group has suggested that the examination of EPF activities should be taken backward to cover even the first bond scam. Footnote 29 also pertains to an observation made by Auditor General in his report as reproduced in the main COPE report. The relevant observation had remarked that EPF which could buy bonds in the primary market had earned financial losses by buying them in the secondary market at a higher price. This has led to a questionable investment practice, according to the Auditor General, since EPF is under the management of the Monetary Board of the Central Bank. The dissenting group has not refuted this observation of the Auditor General since they themselves had presented it previously in footnote No. 26. They have strengthened it by remarking that EPF has made such imprudent investments during the last six-year period. The issue for the dissenting group is the apparent repetition of this practice even today. Hence, they have argued in the footnote that, since EPF has been holding the savings of the country’s workers, made in terms of law, for their old age security, special provisions should be made regarding the safe and prudent investment of EPF funds. Thus, both the main report and the dissenting report have made a single recommendation with respect to EPF. That is, the investment practices adopted by EPF since 2010 should be fully investigated. Since EPF comes under purview of the Committee on Public Accounts or COPA and not COPE, if it is done through the existing Parliamentary Committee System, this task devolves to COPA. However, COPA is already overburdened with a massive amount of work involving Government departments and ministries. Hence, if it is to be examined by Parliament, it is necessary to appoint a special select committee suitably assisted by experienced investment analysts. EPF was placed under the care of the Monetary Board of the Central Bank in 1958 when the Fund was established, despite mounting objections for doing so. These objections were from within as well as from outside the Central Bank. Sir Arthur Ranasinghe, Governor of the Bank at that time, mentions in his autobiography, Memories and Musings, that he informed Premier S.W.R.D Bandaranaike that the Central Bank could not undertake this function because it involved a conflict of interest. Then, one time Governor of the Bank, N.U. 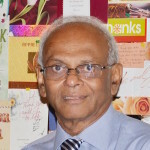 Jayawardena, and then a Senator, made a plea to the Government that it should not reduce the Central Bank to the status of a Government department by assigning jobs which the Central Bank could not do. But the Government overruled all these objections and created a freaky organisational structure for EPF which could not be found in any part of the world. The freaky structure was the creation of a dual responsibility system for EPF. In this system, the enforcement of the EPF Act was assigned to the Commissioner of Labour, a department in the Central Government, and the management and the custodianship of the fund to the Central Bank, the country’s monetary authority that was required to decide on the country’s interest rate policy free from any conflicting interests. The explanation given by the Prime Minister was that he could not find any other Government body to which the responsibility of managing the fund safely could be assigned. In fact, according to reports, he had promised his own Senator, N.U. Jayawardena, that that was only a temporary arrangement and could be changed shortly. That temporary arrangement has now become a permanent arrangement and EPF has come to stay within the Central Bank as a permanent resident. Hence, the Monetary Board had to perform a difficult task in terms of the new resident it had been forced to accept. On one side, it has to adopt monetary policy without being influenced by any interest it holds in the system. This was the reason for introducing specific provisions in the Monetary Law Act that the Board should not own any private business or bank or a financial institution. On the other, it has to generate the highest rate of return for members of EPF. Hence, when investments are made for EPF, the Monetary Board had to necessarily ignore this statutory restriction placed on it. This was not an issue in 1958 because at that time, the only available investment was the government securities. But today, there is a vibrant share market, corporate bond and debenture market and commercial paper market outside the government securities market. Investment in these ventures obviously entailed a conflict of interest. To overcome this problem, the Monetary Board took a number of actions when it performed its statutory duty for EPF. It created a Chinese wall between its monetary policy and EPF investment policy. When it invested in private companies, it imposed a self-restraint on itself. One restriction was that EPF would not invest in the company shares more than 5% of their issued share capital so that it would not participate in the management of those companies. Hence, it was only to be a passive investor. The other was that EPF would not buy shares of any financial institution supervised by the Monetary Board. The reason was that the Monetary Board had access to inside information in those financial institutions and if it invested in them, it would give a wrong signal to other market participants. For instance, if EPF invested in a financial institution, the market would make the wrong judgment that it did so by referring to inside information which was not available to other investors. Similarly, if EPF exited any financial institution, that too would give the wrong signal in the opposite way. That is, EPF did so because it knew of some adverse development taking place in that particular financial institution. Furthermore, the Board did not want another regulator, namely, the Securities and Exchange Commission, to accuse it one day that it did its investments because it had inside information relating to those financial institutions. These sacred rules were broken by the Monetary Board after 2010 by investing more than 5% of shares in private companies and choosing banks and financial institutions for investment up to the maximum amount permissible so that it could manage those institutions. Accordingly, by using other public sector funds like ETF and Insurance Corporation, the Monetary Board has collaborated with the then Government to effectively nationalise private banks and financial institutions. Thus, the Monetary Board, together with the Ministry of Finance, commenced managing leading private banks, appointing directors and nominating chairpersons. This was against the Monetary Board’s governance principles as well as its statutory obligations. This is a matter which should be fully investigated to ascertain why the Board decided to break its own rules and venture into running banks in the country. This writer in a previous article in this series, published immediately after the new Yahapalana Government was formed, advised it that EPF should exit private banks promptly and allow them to manage their affairs by themselves. But what the new Yahapalana Government did was to appoint their own representatives to those positions after unseating those who had been appointed by the previous Government. Hence, while investigating the investments made by EPF after 2010, immediate action should be taken for EPF to exit the financial sector promptly. Yes, this can help it further how DEVIOUS steps had been the case during MR administration. Yes, the COPE is an opportunity to clean up a lot of shortcomings. What is the use of investigations? I see it’s an exercise done to feed the masses brains with all sorts of stories, while worst things are done behind this screen. Of course provides employment and work for the investigators.Perhaps the spoils of the robbery are exchanged among the robbers. Why waste Public money use it toImprove our schools, employ more teachers, improve health services. Let the people in some position rob. The Bull on the trashing floor will eat the straw. Please remember these robbers are patriotic and honorable servants of our motherland. Good facts analysis, observation, revelation and recommendations by WAW. May I propose is it to prevent this type of problems and to achieve more positive outputs why RW once he came to office wanted to create a separate entity for the management of EPF and the present CB fiasco is the result of missing that opportunity? WA has no case. He is one sided not knowing the truth, as he just surmises. In order to create liquidity, you have to have PDs buying at a price, and they have available bonds to sell at the secondary market. EPF can choose NOT to buy or buy at the price that Perpetual Set. How can it be there was something untoward? If the EPF just sits on the daily cash they get they DO NOT get any interest. This is a man with a Island mentality that has a problem! The fact that Perpetual sold to EPF at a profit, don’t lay the blame at Perpetual. They have the bonds, EPF needs to buy. Being the largest PD there is NO ONE else they can go to. WA simply is dreaming as his case is with NO merit. As EPF though not a PD is allowed to bid at the auctions, why did they not bid in the first place? Ask EPF management, it is their problem, can’t you see it? EPF has to be managed by professional fund managers, who are paid handsomely for their effort. Otherwise there is NO incentive to make a good return for the members, the GENERAL PUBLIC OF SRI LANKA. It is best to concentrate your energies on that point, and get rid of the amateurs who manage these funds. In any other Country with Funds such as these, over US$10Billion, your asset manager must be paid at least US$10M to manage this, and if you did the fund would have gone up by at least twice in the past 15 years. So the loser is the PUBLIC. Just think about it, stop chasing mirages and get to the real problem of jokers of your puerile ilk, managing the people’s funds. We have to look at the big picture and it is NOT NICE. We need professionals. Retired bankers are just that old lifers who don’t have a life so they rant on about a piffly point, forgetting the larger and more serious point of TOTAL MISMANAGEMENT of our people’s pension funds. EPF current management and the CBSL MUST be blamed during WA’s time for most of it, should NOT be in the business of managing a huge portfolio, and also issuing bonds. Sadly the writer should offer a solution of how the people’s pension fund is managed better for better returns in the long run. Otherwise his whole waste of pontification is merely for his own egotistical ha-rang of sour grapes. Of course an incentive based on a running average rate of return over a 5 year period where they get say 25% of increase above say a 12% return, would have shown stellar returns for the public. Just hire the Perpetual Dealer to do that, and you will eat your words, when the EPF value goes up by 20% next year. The trouble is you cannot stomach his paycheck of Rs 50B, even though he makes 250B (after his fees) for the EPF. Just think of the scandal that will cause! That is the ISLAND mentality we are stuck in today. This is the way pension funds are managed in any other Country, just not here! WHY? Yes they divide it amongst about 5 or 10 wealth managers, but we only have ONE here at present who can do the job, and you are attacking him for all he’s got. Shame on you. In the days before auctions, the EPF was forced by the previous administration to buy Bonds at low interest rates. That effectively means, that the Private Sector workers savings were being robbed by the Govt. as they were forced to earn a lower return. Now the savings are earning a higher market determined rate of interest, and if you follow my earlier notes, I am suggesting a method, by which they earn an even higher rate of return, if managed by REAL PROFESSIONAL managers and NOT Cowboys as at present. The hardworking people of the Private Sector of Sri Lanka which is the only engine of growth in this economy, deserve better, and should be able to take out more than they do at present. We have lost the wood from the trees. Let us concentrate ON THAT simple premise and work towards achieving this simple goal. All the writings such as this are then superfluous to that aim. We owe it to this sector of worker to be able to live well in retirement, considering the overtime, long years, stress and sacrifice they have made with their lives. The Public Sector on the other hand (including all present and former CBSL employees)continue to leach off the people’s taxes, not adding one red cent even to this argument. The words spoken above are typical of the Public Sector mentality and is time we took account of the fact when we determine who is worth listening to and emulating for the Good of the Country. We have heard that EPF Funds are in a Mess. We don’t know the extent of this MESS. If it has been siphoned, misused or mismanaged, those who are responsible must be exposed, taken before Justice, money recovered even by selling their assets, and be subjected to punishment as listed in Law. EPF is holy money, a person has hopefully saved to live after retirement. If that is robbed (Mismanagement is worst than robbing), the curse must come upon them. As WAW says, there must be a credible inquiry. We know UNO & PA and their allies will not do a honourable job in this regard. Harsha De Silva, always spoke about EPF money, and we voted him for that. He should now resign post and champion the cause. Can someone please convene aEMeeting of EPF holders, to an appropriate venue, so that we can all pool our little monies, (but it will come to millions) so that we design a ‘Course of Action’, to safeguard our EPF dues….? WAW or an eminent Lawyer, please take the lead. Independent Analyst. Investigate…..Investigate…..Investigate has become the “Buzz” word of the society, since the introduction of “yahapalanaya”. The very first “Investigation” (if I remember correct) was the “Waliamuna” investigation into the affairs of our National Carrier; SriLankan Air. When the report was out in a very “Short” period, everyone had a “knee-jerk” sensation. That too recommended further “investigation” into that colossal loss the country suffered; and as at date how long ago it was. By now, we have incurred another “Colossal Loss” of Rs. 3 millions; because the “Three Directors Committee” of the new Board of Directors has reported all those “Findings” of the “Waliamuna Committee” have “NO BASIS” and all those mentioned from the ex Chairman downwards are not liable on the allegations. This “FINDING” has been referred to the “Steering Committee” of Parliamentarians who oversee the affairs has agreed with report of the “Three Director Committee”. So what came about in the end; another LOSS of Rs. 3 millions. That gives a living example of “Investigations” in this country. Now again we talk of yet another “Investigation” into how the working population of the country lost their EPF money. In the above article the official status of the EPF in relation to Bond investments has been stated viz. as a Primary Dealer entitled to purchase Bonds which are called “Gilt Edged Securities”. The question is to find an ANSWER why, being in such a strong legal status, the EPF Management did not bid to bye the Bond Issue. The next question is to find an answer to the question, why that management did fall into a secondary status and bought Bonds from a Primary Dealer. To FIND: WHO did it and WHY it was done in that manner; do you need a “High Powered” “Investigation”? Why cannot that “investigation” be conducted by the Auditor General and NAME the Management Personnel who are “Answerable” and “Accountable”. If, as usual and accustomed to deliberately to prolong matters, that “Investigation” could be finalized in a matter of two weeks, the maximum. This BIG outcry for “Investigation” is yet another making a Mountain out of a Molehill. Another LOSS like that we spent on “Waliamuna Report”? To any self respecting Communist, using the “Peoples Money” locked up in the EPF to get on the boards of private banks and “control their capitalist excesses” would make perfect sense.